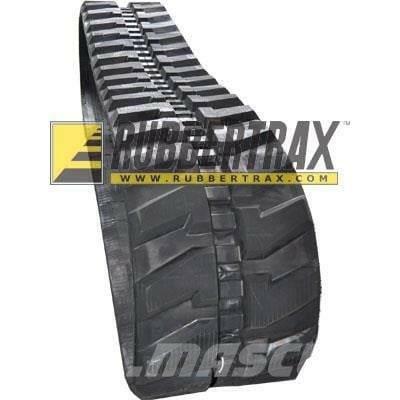 New rubber tracks for your machine. These tracks use dropped forged metal inserts giving our tracks a stronger metal core. They are made with Continuous Steel Cords CSC) which add extra strength and durability. We use the proper blend of natural and synthetic rubber compounds to create a high cut resistant tread. To ensure satisfaction, guarantee fit, and offer same day shipping.